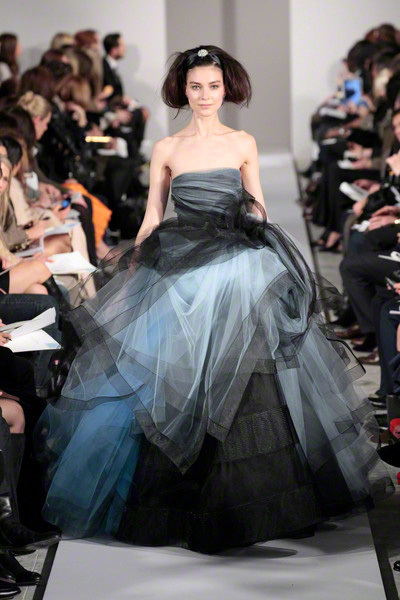 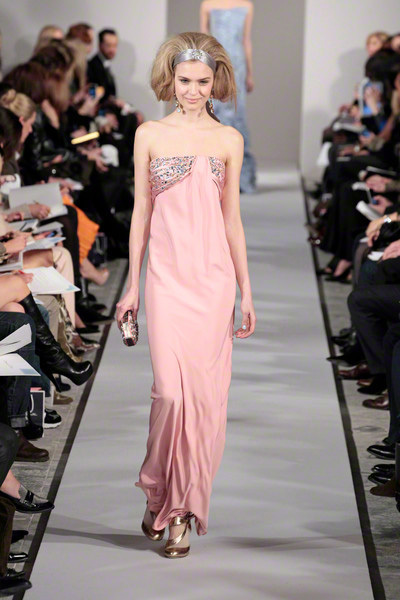 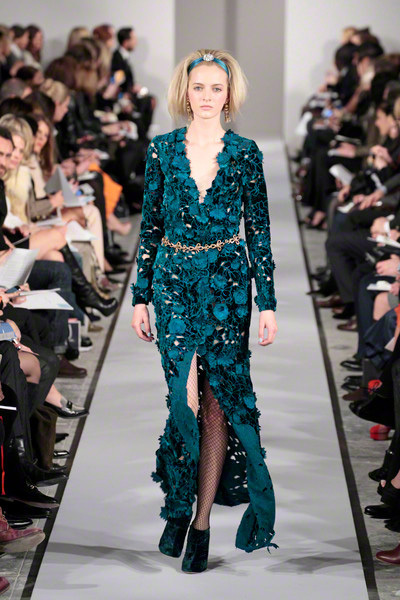 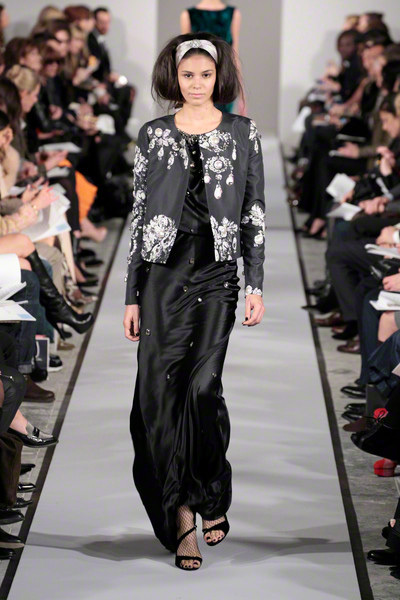 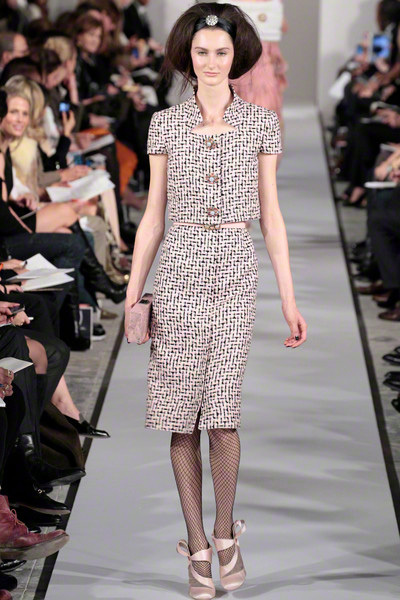 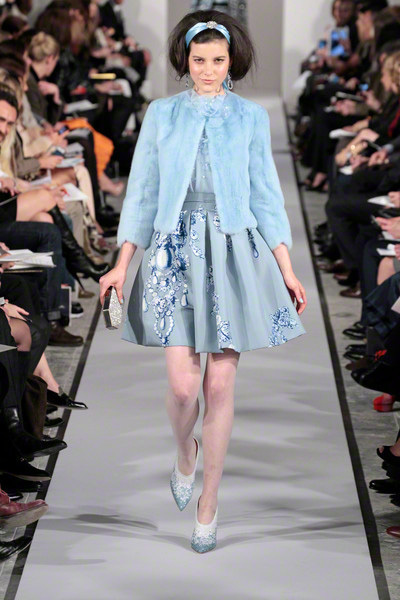 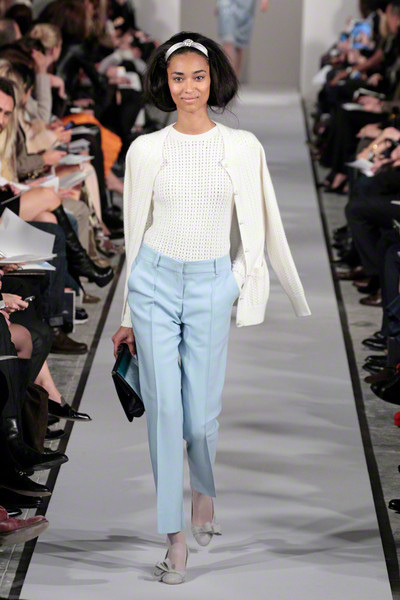 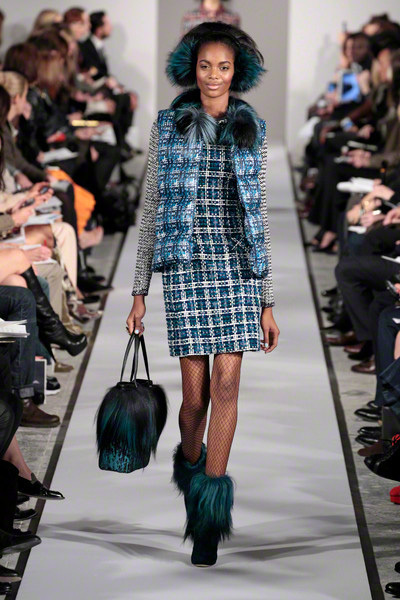 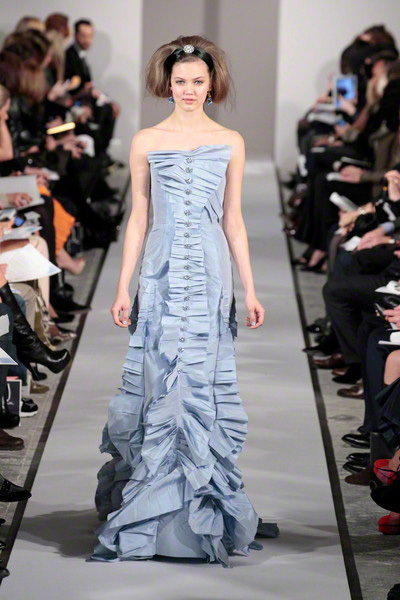 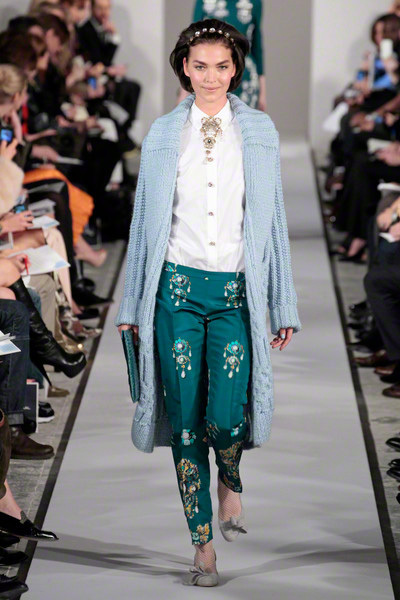 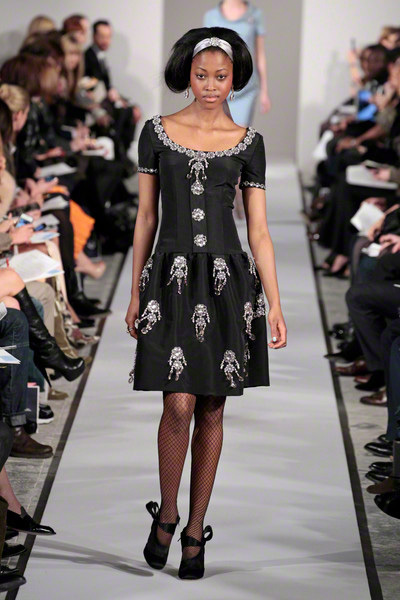 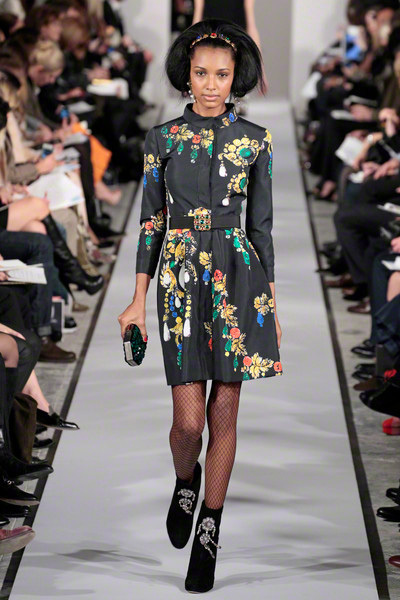 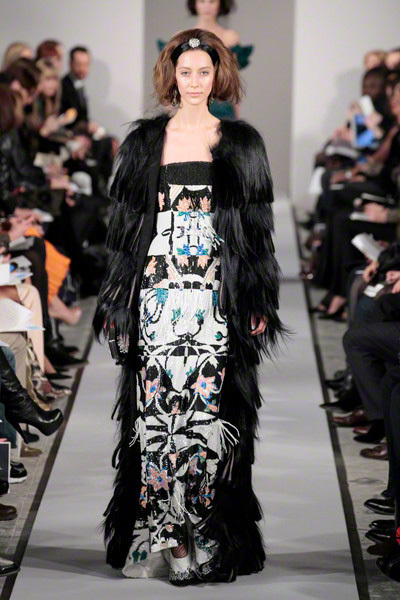 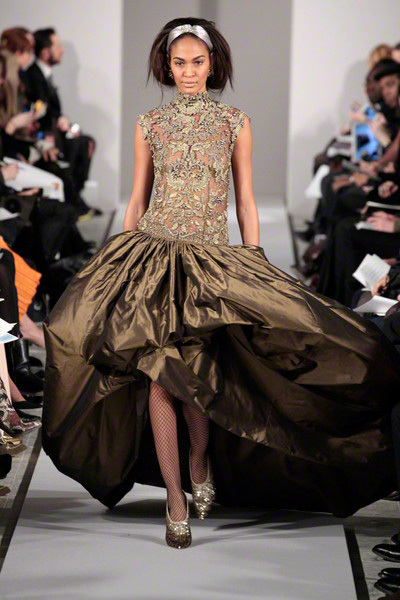 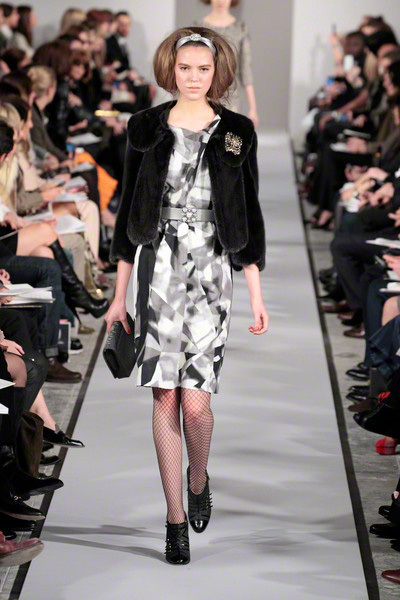 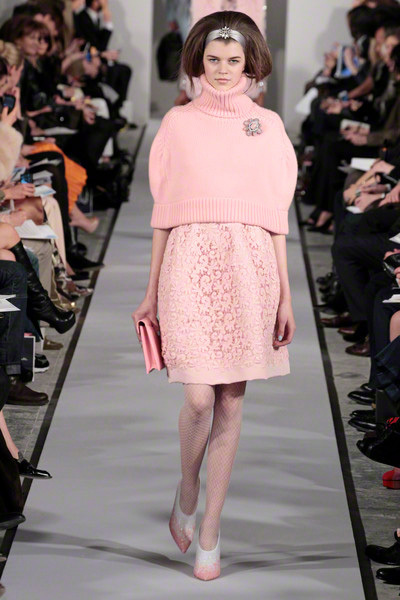 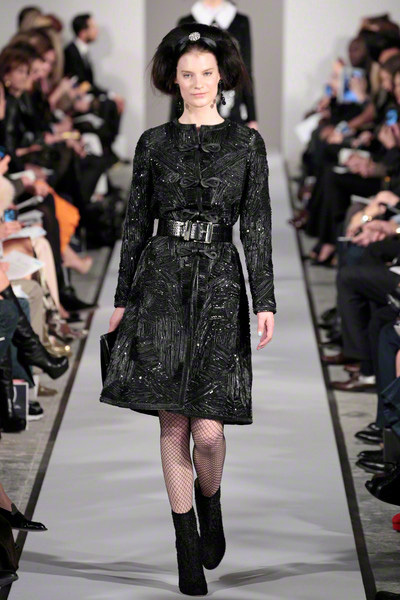 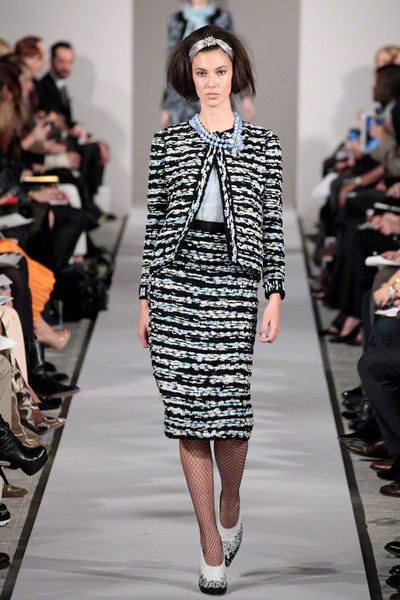 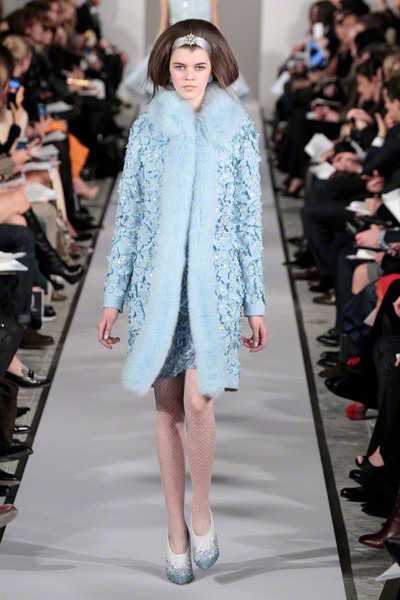 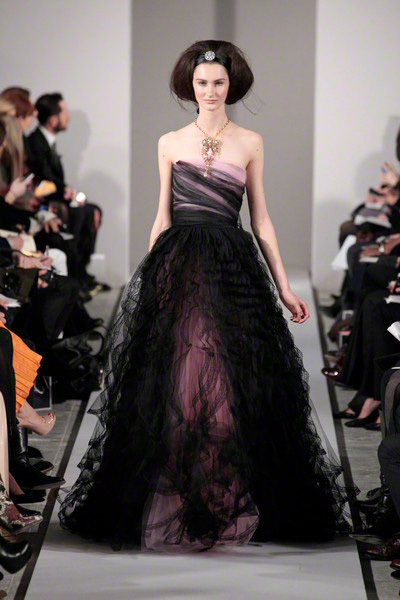 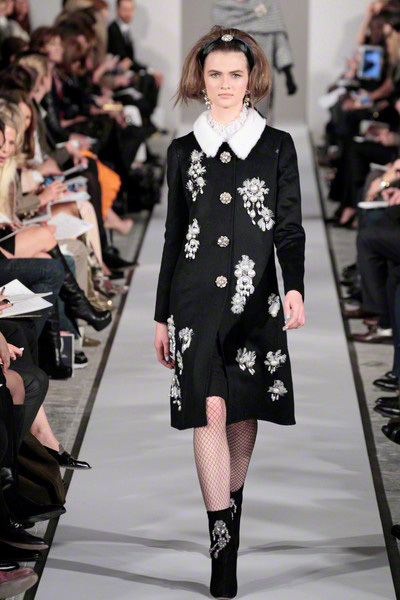 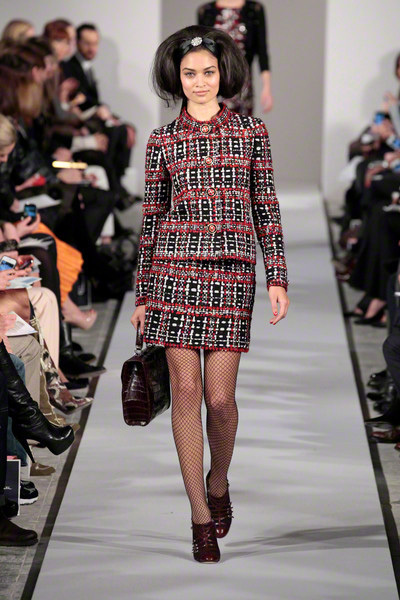 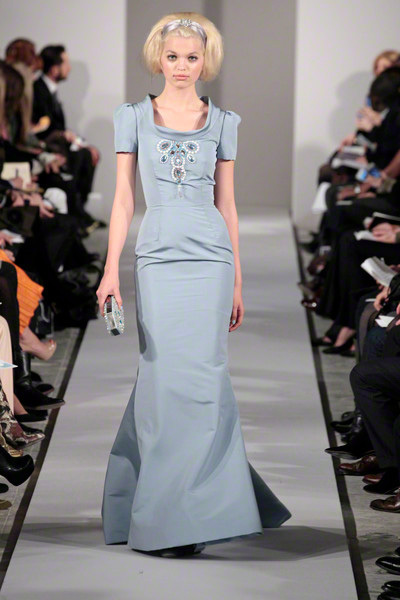 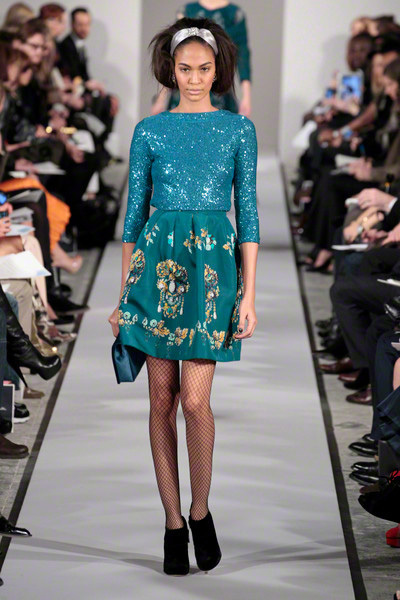 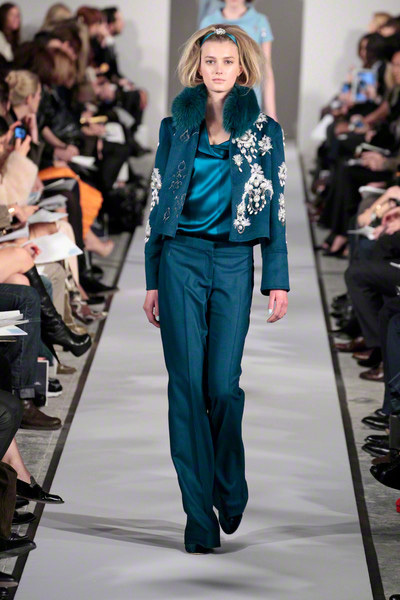 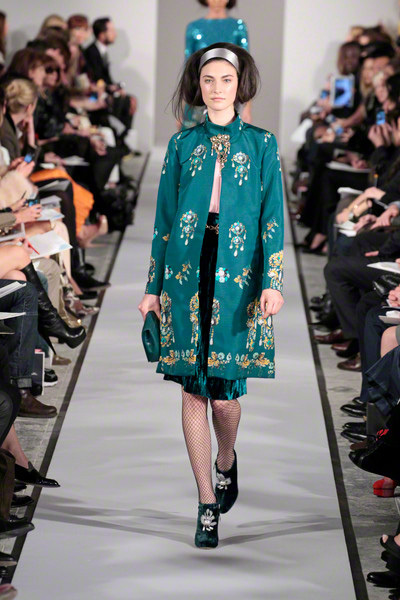 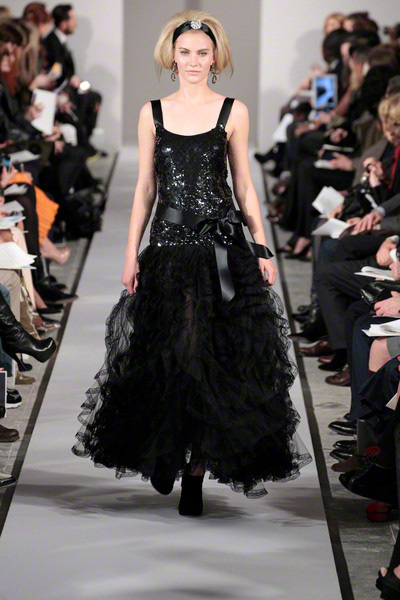 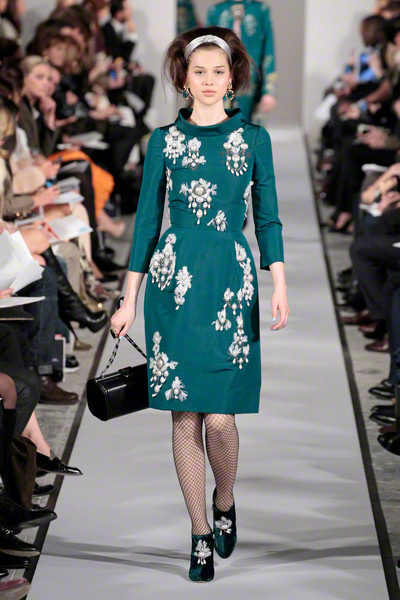 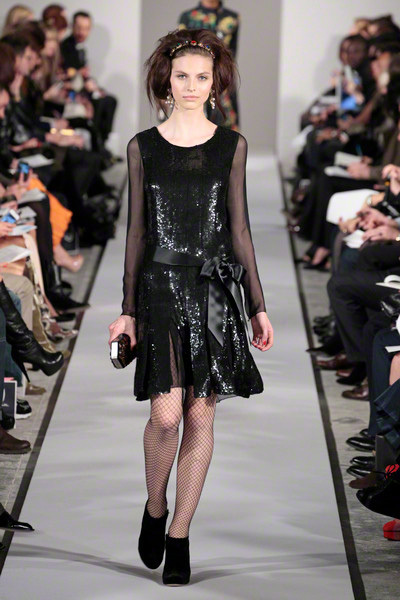 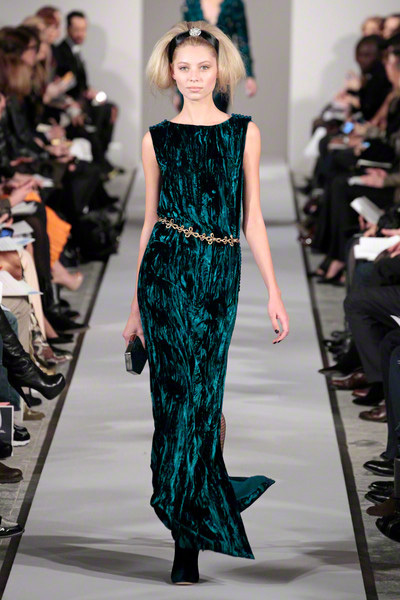 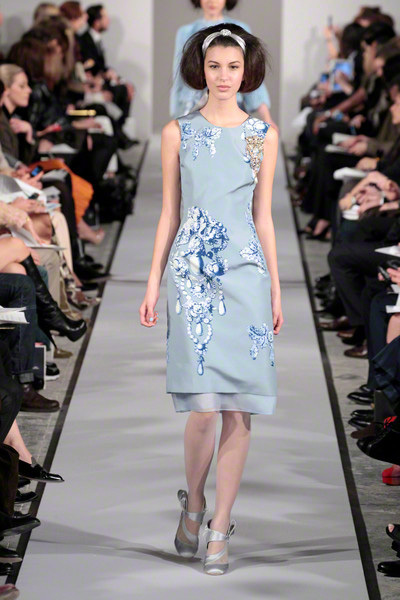 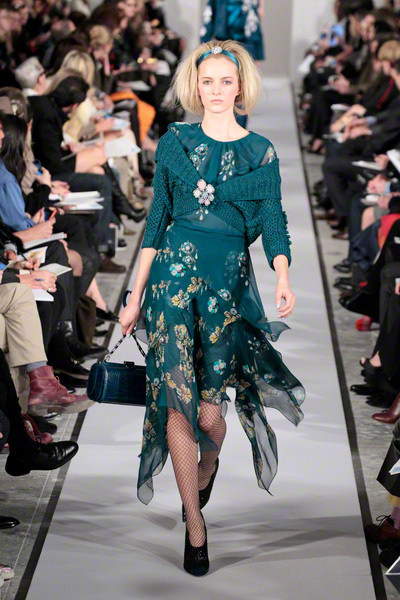 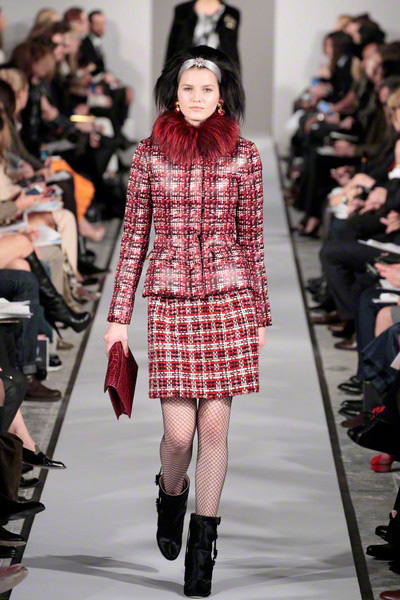 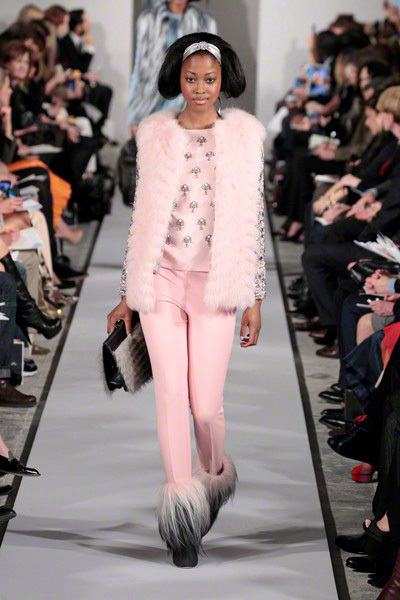 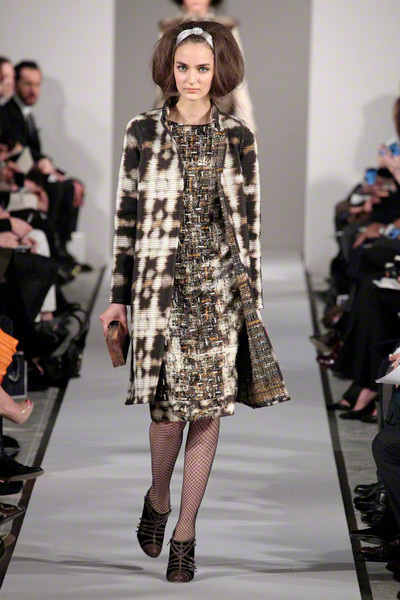 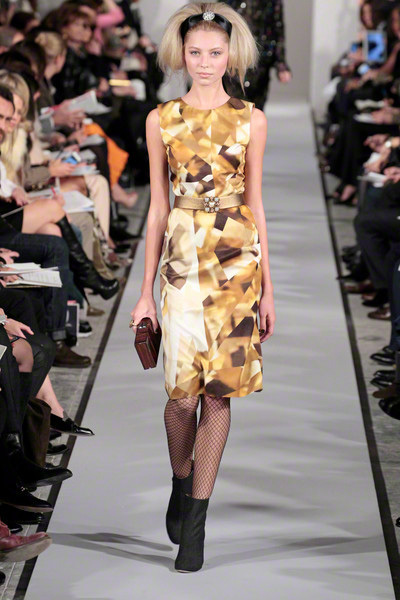 There was a youthful feeling in the collection of Oscar de la Renta. 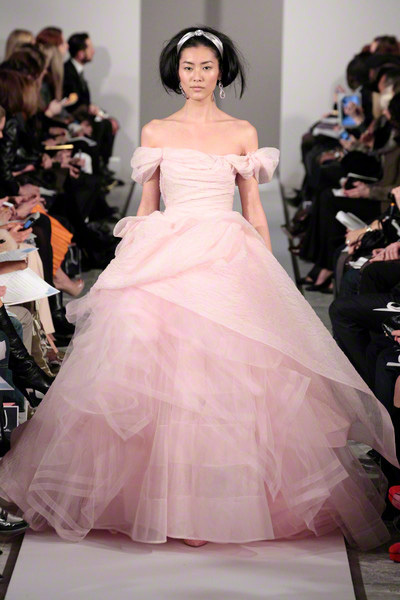 Still precious , but most of the clothes were short, full-skirted silhouettes; in baby-pink and powder blue; ribbons in the models hair. 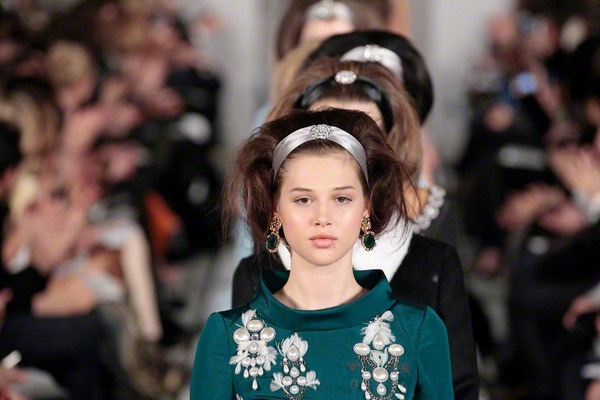 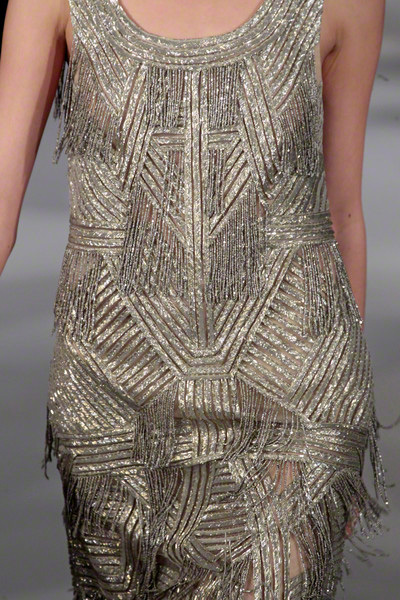 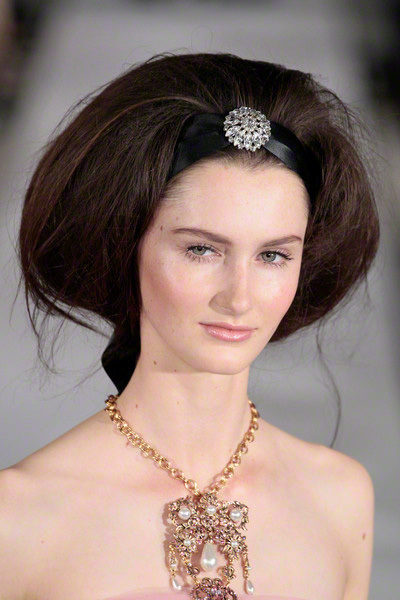 But it was the photo prints of jewels that gave this show its younger streak. 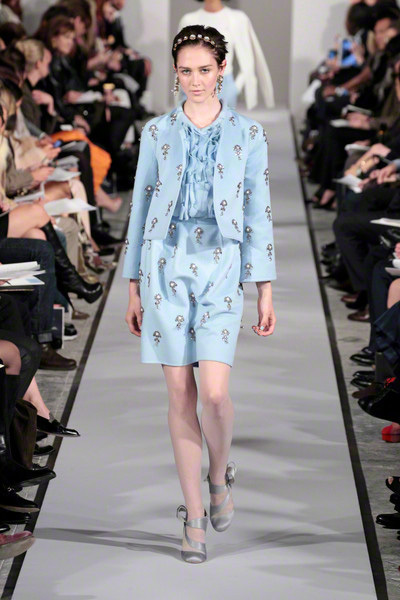 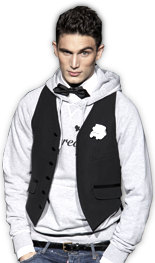 Of course De la rente presented skirtsuits and twinsets, but they weren’t the focus. 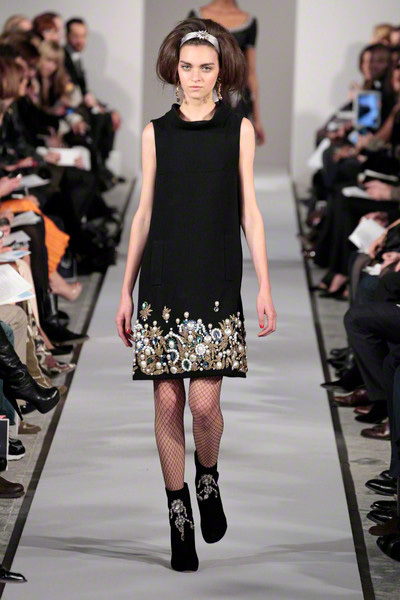 Embellishment was all around, even by day. 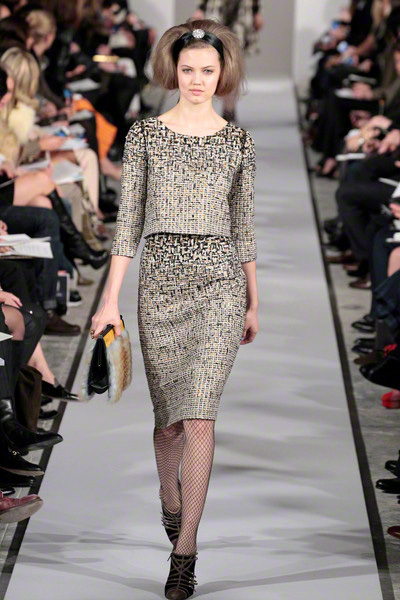 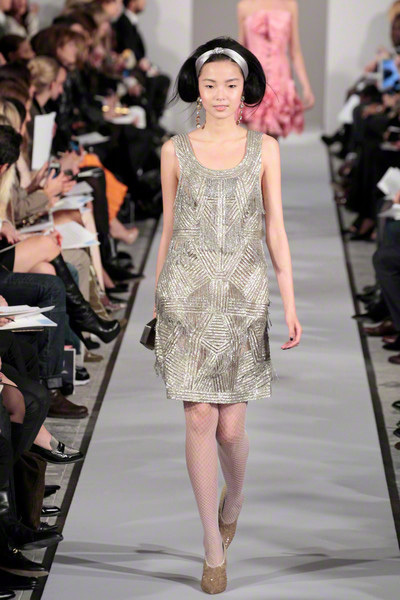 Ladylike suits came in gold lace jacquard and silvery metallic tweed. 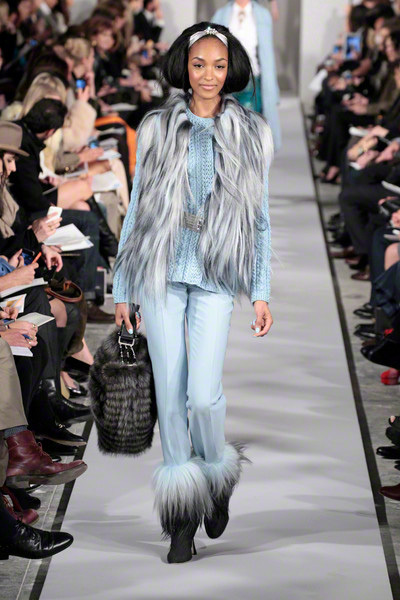 Pants looked sporty, sometimes tucked into boots dripping with fur. 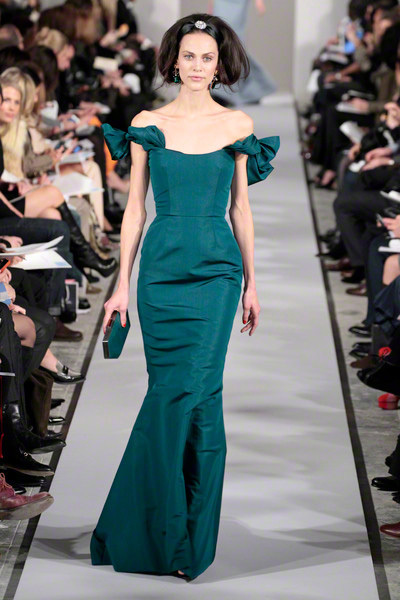 The playful mood continued into evening, where the emphasis was on cocktail dresses.